Powerful 3-in-1 blower with shredder and easy start. Converts quickly between single handed blower and two handed vacuum configuration. 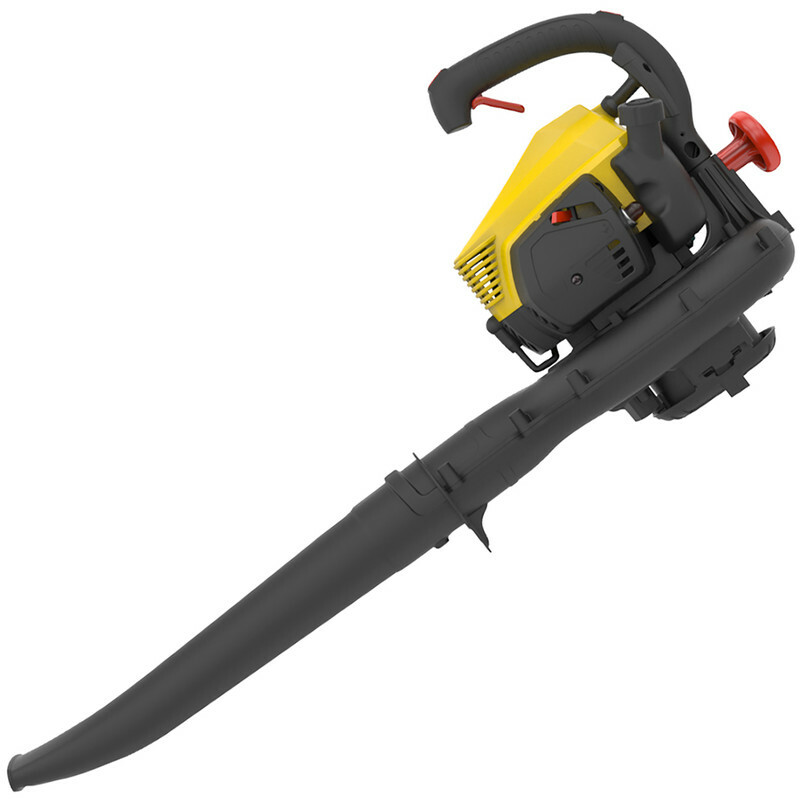 Stanley 26cc Petrol Leaf Blower Vac SLB26 is rated 3.0 out of 5 by 2. Rated 1 out of 5 by Diysteve from Not reliable enough to do the job Thought this would be good, easy to assemble, a bit heavy, cannot be used safely by left handed people, and worse of all cuts out after 10 minutes and won't start until it is completely cold. Did this for the three times I ran it, going back to toolstation tomorrow. Blew leaves OK but collection and shredding slow and not really effective especially with wet leaves.